Ben Roethlisberger is hoping to suit up Sunday in Kansas City. Steelers quarterback Ben Roethlisberger plans to test his injured knee as much as possible during practice this week, hoping it is well enough for him to play Sunday in Kansas City. Roethlisberger told the Pittsburgh Post-Gazette that he plans to be a full participant when practice resumes on Wednesday. He practiced on a limited bases last week as he recovers from the sprained MCL and bone bruise in his left knee he suffered on Sept. 27 in St. Louis. 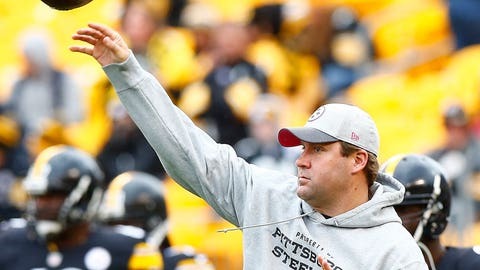 The initial speculation had Roethlisberger missing 4-to-6 weeks. This coming Sunday would be four weeks exactly.